Target stores will no longer sale Amazon Kindle e-readers and Amazon Kindle Fires through their brick-and-mortar stores and Target.com. There are several factors that may have played a role in Target’s decision to stop selling the Amazon Kindle devices. We wrote earlier this year that Target was looking at ways to discourage shoppers from using their store as a showroom, ie: browsing products in the store, but then going to online retailers to purchase the item. They may have found that shoppers were coming to Target to take a look at the Kindles and then going to Amazon to buy them. Another factor, and perhaps a more serious concern, is that, in many ways, the Kindle Fire is an Amazon store. It’s designed to steer users to Amazon content to purchase. So basically, Target was selling a product designed to be a direct competitor of Target. A third factor may also have come into play. 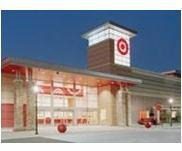 Back in January we reported that Apple mini-stores may be placed inside Target stores. Neither Apple nor Target have confirmed this, and we don’t know when it might, if ever, happen. But one has to wonder… was Apple a motivating factor in moving Amazon products out of the store? Booting Kindle products out of Target will be complete – even Kindle accessories will be removed from the store’s shelves. An exact date for when the Kindle products would no longer be available at Target stores was not provided.